Clemson coach Larry Penley and freshman Doc Redman will defend Clemson’s ACC title at Musgrove Mill. Clemson golf coach Larry Penley talks about his team as they defend their ACC Championship this weekend at Musgrove Mill near Clinton. 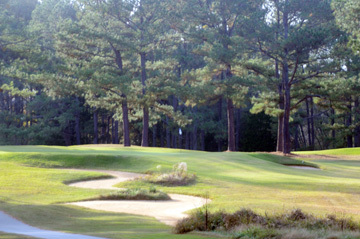 Musgrove Mill is an Arnold Palmer designed course that has hosted many CGA and SCGA Championships. The Clemson Tigers will defend their ACC golf championship when the conference tournament begins on Friday at Musgrove Mill in Clinton. Clemson has won 10 conference championships in the history of the league, second only to Wake Forest. The Deacons have won 18 ACC tournaments. 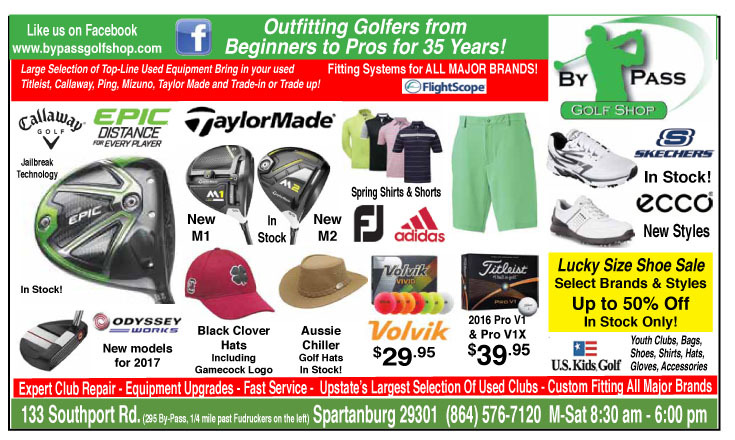 Musgrove Mill is part of the McConnell Golf Group, the same group that owns The Old North State Club. Musgrove Mill was designed by legendary golfer Arnold Palmer, who was the first individual ACC champion as a golfer at Wake Forest. The 18th hole at Musgrove Mill has been called the toughest finishing hole in Upstate South Carolina. 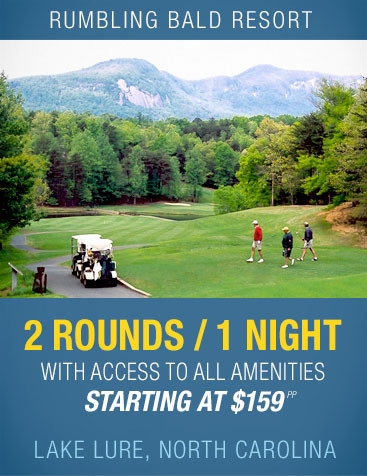 Musgrove Mill will play to a par 72 and is almost 7,000 yards long. 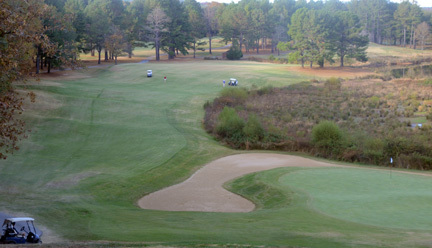 The course has hosted numerous South Carolina Golf Association and Carolinas Golf Associations major championships. The Tigers had won five straight tournaments before finishing second at the Wolfpack Spring Open last weekend. During the full season Clemson won six of 10 tournaments. The six tournament wins is the most by any team entering the post season. Freshman Doc Redman won two individual titles and senior Carson Young won his first college title. Senior Carson Young has had a win, second and third place finishes in his last three tournaments. 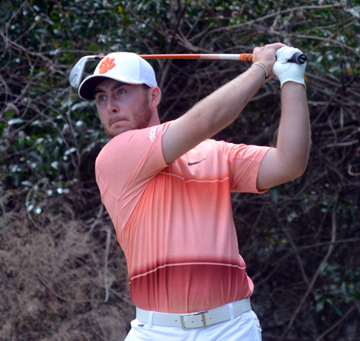 Clemson enters the ACC Tournament ranked as high as 13th in the Golfweek College Golf Poll. Only Wake Forest at number 9 is ranked higher than the Tigers in the ACC field. Virginia and Georgia Tech are also ranked in the top-twenty in the Golfweek poll. 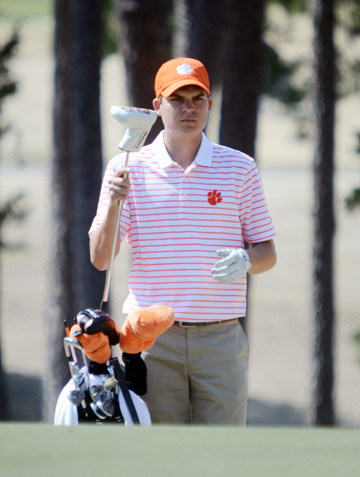 The highest ranked Clemson individual going into the tournament is Redman. The Tiger rookie is ranked 20th in the individual Golfweek ranking. Clemson enters the tournament as the second seed. The Tigers will begin play grouped with Virginia and Wake Forest. The three teams start on hole #1 at 10:am. The Clemson lineup will included senior Carson Young, sophomore Bryson Nimmer, freshman Doc Redman and William Nottingham. Senior Austin Langdale is nursing an injury and may not play in the conference tournament. The Tigers fifth player is still uncertain. Senior Austin Langdale missed the Tigers last tournament with a wrist injury and may not be able to play in the conference tournament. If Langdale is not able to play this week junior Josh Fickes will fill in again. 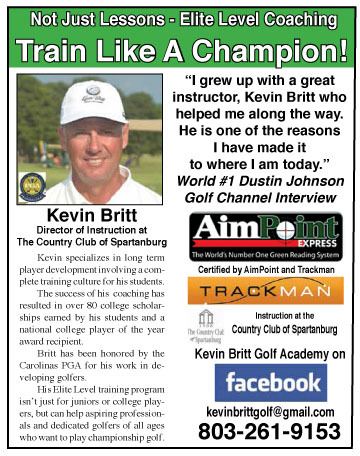 Fickes played last week a the NC State tournament and had a hole-in-one during the event. The tournament is open to the public and there is no charge for admission.